I’m a Texas-transplant, so Fiesta is not something I grew up with. Which means I got to learn of the traditional springtime San Antonio tradition in the very best way – full throttle, in your face immersion at the ripe age of 21. If you’re someone who is a sensual (not simply a visual) learner, Fiesta will leave you in a sensational overdose. 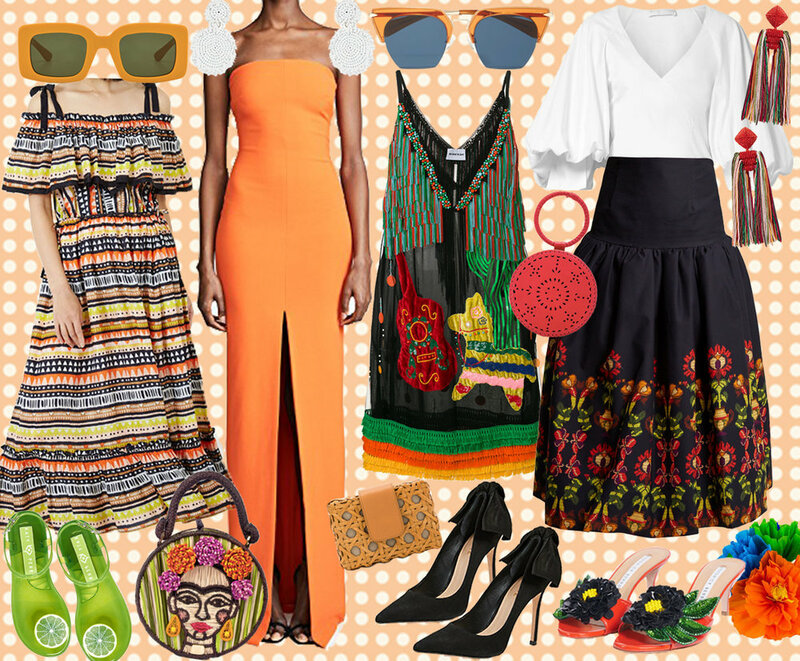 Start with the sights: the brightest colors, the most festive parades, the jubilant, Mexican-themed outfits, and the never-ending trail of papel picado that leaves you pondering why we regularly don’t sprinkle confetti on every surface on which we eat and walk. Your ears are bombarded with the sounds of happy laughter and Mariachis, who only pause for an interruption of some “Viva!’s” or Mexican gritos, and leave your ears humming with traditional folk music well into the night. Your tastebuds are also in for a wild ride – because you may very well have thought you knew what a good margarita and Tex-Mex plate taste like, but it’s your first visit to La Fonda, and the bar is now set impossibly high. And don’t be fooled into thinking the only thing you’ll be smelling is some jalapeno nachos – because that oh-so-beautiful aroma has to share the stage with delicious street churros, the scent-there-is-no-name-for of a spring night under the twinkling Texas stars, and the bountiful flower arrangements that spill over at the Garden Party and the German. And, oh the feels. You feel the warmth of hugs from old and new friends, the contrast of the warmth of the San Antonio sun and the cool cocktail in your hand, the contagious excitement of a city that finds the most enjoyment in community celebrations, and the all-too-rare sense of contentment in knowing the party – at least this week - does not have to end. There’s nothing like Fiesta. And there’s no collage that can properly communicate all these Fiesta feels – it’s just something you just have to experience for yourself. But there’s certainly no harm in trying to capture the magic of Fiesta in your wardrobe or your home. Which is why Cloche’s Fiesta-inspired tablescape is so perfect – both as inspiration for your own bring-Fiesta-to-your-casa DIY project and as the happy, festive creation that only a San Antonio-based company could envision and bring to life. Each detail evokes the same sensational experience of the main event itself, and each element is what your fajita night, Cinco de Mayo-on-the-horizon dreams are made of. Viva Cloche! ... it's almost Fiesta time? By the end of this week, San Antonio will be in full Fiesta force. The city will be covered in Mexican paper flowers, margaritas will flow like water, and everything will be positively vibrant. During this time, everything about the city - the people, the parades, the parties - are full of color and life, so naturally I am full of inspiration just thinking about it. I’m drawn to any creative mind who likes to party (surprise, surprise), but throw fashion into the equation and you have what every boss I’ve ever had has always wanted and never quite achieved – my 100% attention. So when Cloche reached out with an invitation to style some pieces from Danielle’s new clothing line, I was on the midnight train to Georgia (excuse my cheese). The collection includes floor-length patterned skirts, boxy silk tops, and a revolutionary concept that will earn Rollins a place in my personal history book: hostess pajamas. In the Veranda feature on her stunning home, Rollins references the old adage that also happens to be (surprise, surprise) one of my personal mantras: “if you buy clothing for a life you want to live, you’re going to live it.” Well if wearing some Danielle Rollins gets me closer to living like Danielle Rollins, I’ll take one of everything, porfavor. There is no time or place where entertaining with style is done more enthusiastically and flamboyantly than San Antonio during Fiesta time. So Danielle paying a visit to SA for a trunk show scheduled on April 5th & 6th at The Argyle (with 10% of sales donated to Texas Biomedical Research Institute) means the stars have certainly aligned. And who better to usher in this debut than local entertaining/decorating mavens Cloche Designs and M Interiors? If you can’t make the trunk show, order online with code SANANTONIO before April 6th to take advantage of the give back. Her couture collection is exactly what a Fiesta-wardrobe should be: fancy-yet-festive, a nod to tradition, and all about the party. ¡Viva!, indeed. Shop all Danielle Rollins Liberty Print skirts here and don't forget to use code "SANANTONIO" to donate 10% of your purchase to Texas Biomedical Research Institute!